It appears that in our quest to make sure students can comprehend what they read that we have lost our common sense. That we have started listening much more to programs, politicians, and shoddy research than the very kids who the programs are happening to. That we have pushed the ideas of teachers aside, of best practices, and solid pedagogy, and gotten so lost in the process that we turn to more experts to tell us what we used to know. So it is time for a little reminder of what we know about best reading practices; those same ideas that my students have been reminding me of for years. Those same ideas that the godfathers and godmothers of reading have been shouting loudly for years. And choice for all matters. Not just for the kids who already know how to read well. Not just for the kids that seem to be able to pick the right book almost every time. Not just for the kids who already feel like readers. Choice for the vulnerable, for the strugglers, for the resistant, for the kids who don’t think they will ever like reading, for whatever we deem to label a child that just not has blossomed as a reader just yet. And real choice, not the pretend you have choice when I ask you to select from this one stack of books. And not the time to do more stuff about reading, but actually read in class. To plant the seeds of further reading as Allington discusses in his research. To actually give them time to read within our school day before we make them do more with their reading. How can we say that reading a great book is vital and then deny them the chance to do it right in our very own classrooms? How do we find time to have them read in class, we, educators, stop speaking so much in class. How we view the abilities of our students directly influence the instructional choices we make. When we perceive them as high-achieving and capable we give them freedom, more chances of creativity, and have better relationships. When we are afraid that they will not be able to handle something, we restrict them, we tighten our control, we have them read less, do less meaningful work, and also have a more strained relationship with them. Do you see all of your students as capable readers or just some of them? We know children should be surrounded by books, and yet how much money is spent on other resources rather than books. When I see 1 on 1 programs rolled out or other major tech initiatives, I always wonder if the same amount has been spent on books? Not because I don’t support the technology, but because books aren’t often seen as investments. I always wonder if there is a classroom library in every room. Yes, we need fully staffed school libraries with certified librarians for all kids AND we also need classroom libraries in every single classroom. In fact, research shows that students read 50-60 % more in classrooms that have libraries than in those without. And those classroom libraries need to represent the diverse society we live in. 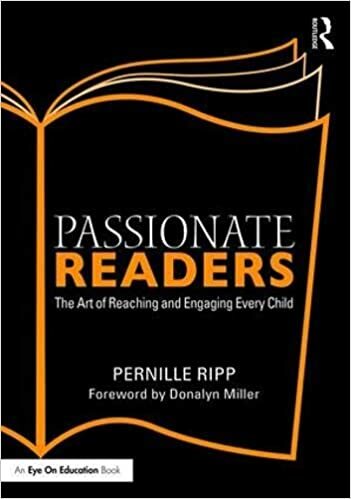 We need to critically evaluate what we bring into our students’ reading lives, not because it always has to be classical reading but because we need great books for many readers. That means we say yes to graphic novels, audio, comic books and other amazing formats of books. That means that we search out and specifically purchase stories featuring a diversity of characters from #OwnVoices authors. That means that we not just aware of who is represented, but also how they are represented. And we constantly assess who is not represented in our classroom library. We start small with our library collections and build them every month. When we finish a book, what do most of us do? I can tell you what most people don’t do – write about it. 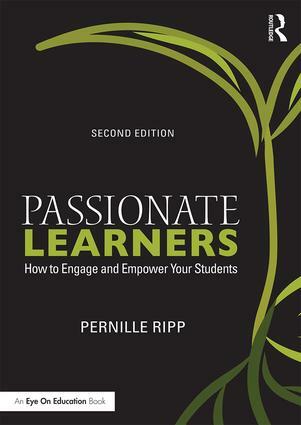 And yet, what is one of the most common practices we have students do in our classrooms? Those little jots, reflection pieces, reviews, and logs are making the very act of reading a chore. Not for all but for some. So why make all kids reflect after they have finished a book? Why not give them choice? Perhaps they want to do nothing, perhaps they want to book talk it, perhaps they want to share the book on social media, perhaps they want to write. Let them discover what their reading identity tells them to do rather than follow a blanket rule. Our knowledge of children’s literature matters. If we are teaching readers then we should be reading their books. Every time we read a children’s book we are able to speak another language with our students. The books we recommend get read more, which also means that the book gaps we have (books we do not tend to read) dictate what we don’t recommend. So read widely and proudly. Read children’s literature as much as possible so that you can become a proper reading role model, not just because you said you are, but because you are able to speak books with the very kids you teach. When a child tells me that they read at home, I trust them. Much like I trust them to work on reading outside of our class. If I hand them a reading log to have parents sign, I am telling them that I don’t trust them when they share their reading decisions with me to quote Jessica Lifshitz. For some that may take all year to achieve, for some, the habit never fully solidifies. But we try every day as we offer up reminders of why reading more than just what is accomplished in class matters. When we purchase the programs, when we make blanket decisions, when we force the same procedures on every child, we are telling them that we are too busy to get to know them. That their unique reading identity needs to fit within this one box, no matter where they are on their journey. That we would rather trust a program than trust the very kids we teach. So use the program but keep your students in mind, detour when needed, and administrators, please tell your teachers to trust their experience rather than just follow a program to fidelity. Give them time to wrestle with new ideas, new challenges, and new curriculum. Trust those that are ready and support those that need it. So much can depend on one great administrator. And so you must find the courage to speak up when you see instructional decisions harm the love of reading that our students carry. You must start conversations within your own district, your own buildings, and you must reflect on your own decisions. Ask your students how you can be a better teacher for them. Ask them what makes reading amazing and what makes it awful. Question your own practices and admit when you need to grow. We are only as good as our last decision to change. So we can purchase the programs, we can get caught up in test scores and test prep. We can continue to search for the next big thing or we can go back to the things we know work for all kids; time to read, choice in what they read, access to books, and a community to grow with. Don’t lose touch with your own common sense. That we have begun listening substantially more to projects, lawmakers, and trashy research than the very children who the projects are occurring to. That we have driven the thoughts of instructors aside, assistance assignment writer uk of best practices, and strong instructional method, and gotten so lost in the process that we swing to more specialists to reveal to us what we used to know. When we see them as high-accomplishing and able we give them opportunity, more odds of inventiveness, and have better connections. Thank you for this post – it is powerful and direct. I work with many teachers who no longer seem to trust themselves. If we are not anchored in our beliefs, we are subject to the battering winds of trends, so-called experts, and those who are quick to discredit the voices of teachers. I’ve been away for what feels like a long time. That makes me all the more grateful to read this passionate plea for practicing what we know. For listening to our students and our most humanistic instincts, for being discerning in the selection and options for ALL of our kids. I appreciate not just your voice but the commitment over years to this message which is constantly at risk of being buried, or being pushed into the background. Thank you. What you say and do here matters a great deal. I love all of your blogs, but this one…YES!!!!! I could not agree more on everything you have said. Thank you for so eloquently saying this. You are spot on. I love this article. It brings up one thing that I think teachers often need to be reminded: trust your kids. We need to trust our students to make their own choices and read out of school so that they are reading for themselves and not for our benefit.